Straightedge Customs in Edenvale first became known for their passion for turning Japanese and American cruisers into stripped down bobbers. 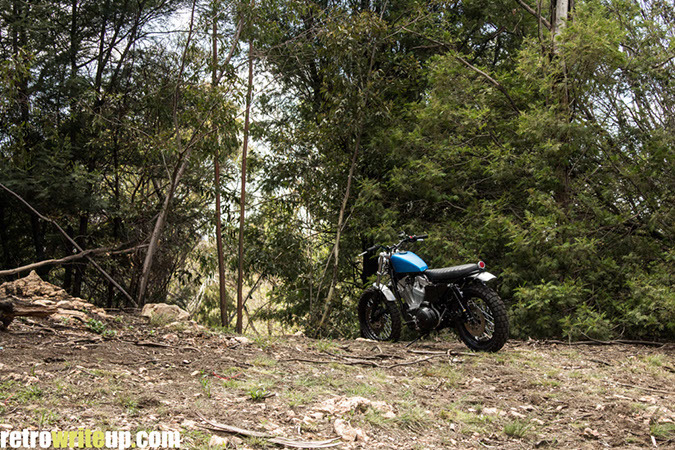 Rory from Straightedge Customs started out by taking 400cc and 600cc Honda Steeds and trimming off all the unnecessary fat. After some time this turned into a full time job for Rory and his father Murray. 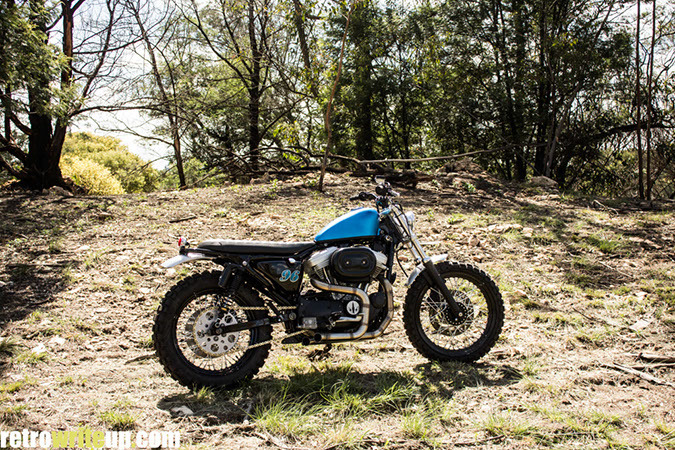 This scrambler started out as a stock, neglected solid-mount 883 Sportster that needed plenty of work to bring it back to its former glory. 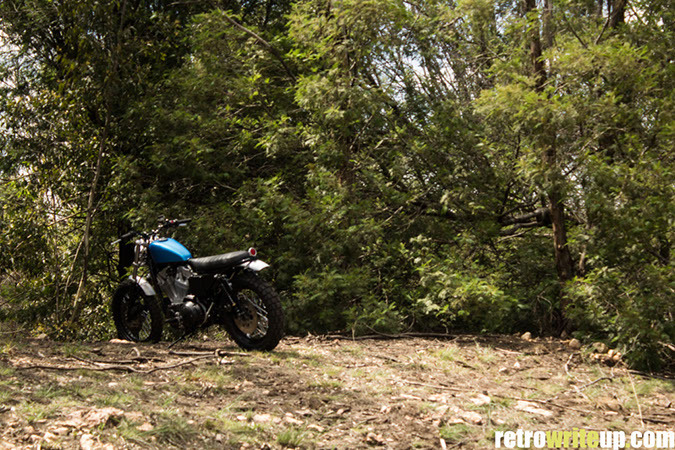 Rory originally bought it with the idea of turning it into a stretched out hardtail bobber. 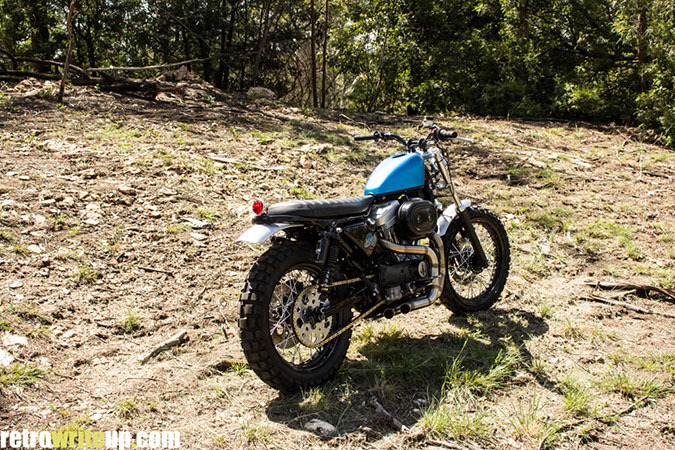 Anthony Paten (new owner of this Sportster) was looking for a custom alternative to Triumph’s Scrambler. A couple of months later this beast rolled out of Straightedge Customs workshop. 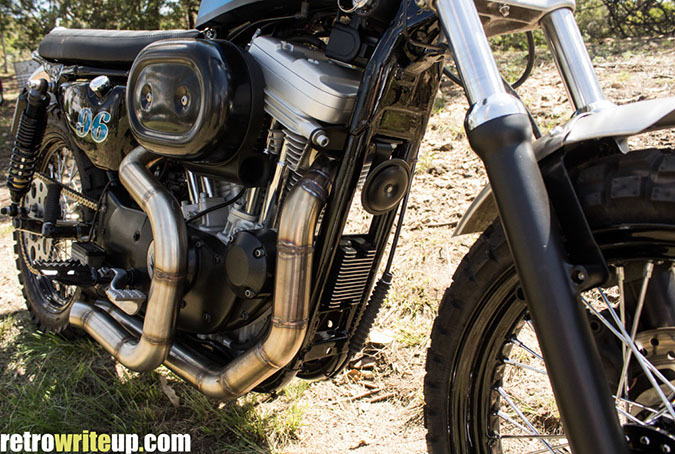 Custom stainless steel pipes were hand fabricated by Rory. The 16” rear wheel was ditched for a new 18” wheel. 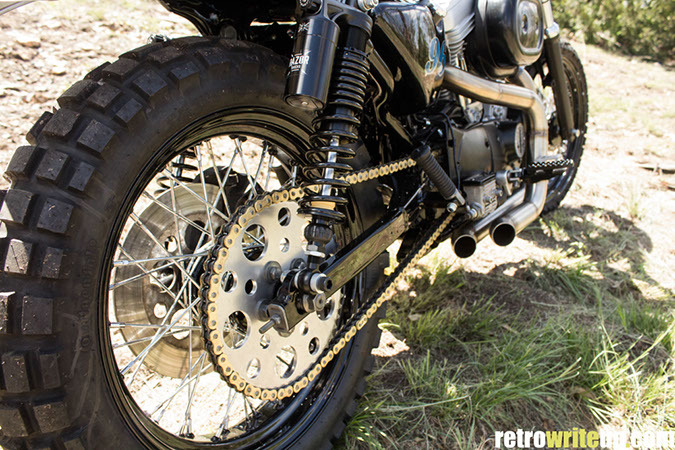 Along with a belt to chain conversion. Continental TKC80 tyres give it that aggressive rugged look. Much improved rear shocks were supplied by Justin from Shocklogic. The custom seat pan was made by Rory and covered by Dion from the Leatherman. 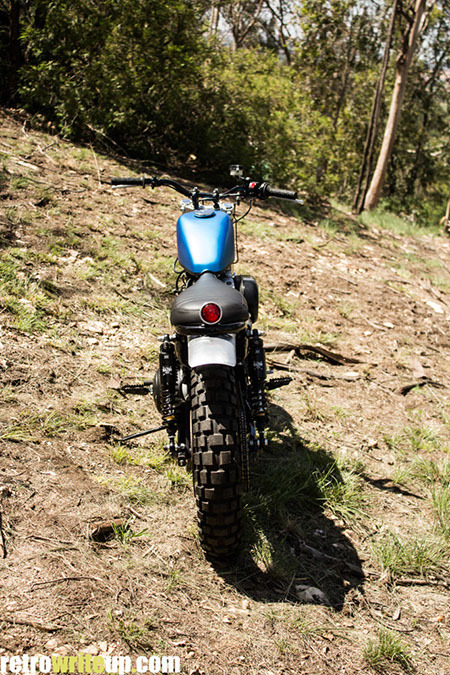 The aluminium front and rear fender gives it a 60’s/70’s nostalgic “desert-sled” look. The whole look is finished off with a denim blue satin painted peanut tank. It’s refreshing seeing something a little different on the road as opposed to a stock Triumph and Ducati Scrambler for a change. 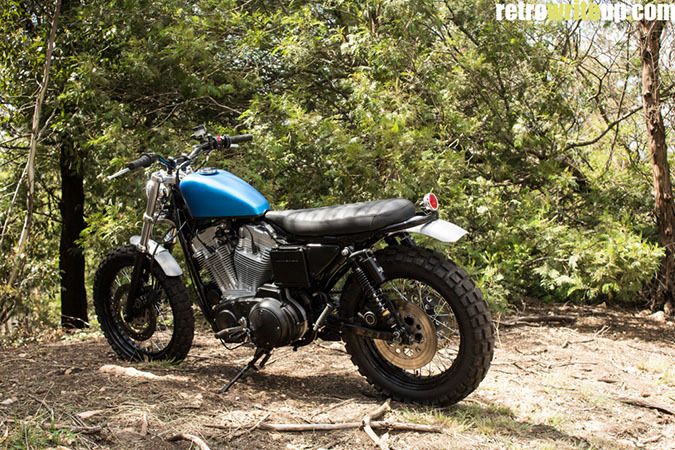 With the current market shifting towards “retro scramblers” Harley Davidson should have retaliated with something like this years ago already. Check out Rory’s page and support him for your custom needs. Also if you own one of the modern Triumphs or Ducatis and find your stock suspension a little disappointing, contact my good friend Justin from Shocklogic. He is always willing to help where he can and will most likely come up with a better solution for your budget.